Sentieri Italiani organizes an exciting trip to Italy each year — taking in destinations from the Alps to the sea. 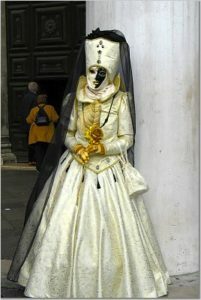 They may be centered on culinary experiences and wine tours to celebrating Carnival in Venice. 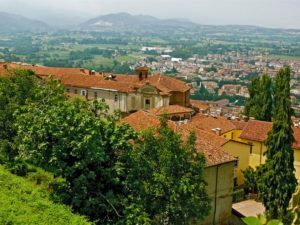 The tours take travelers to the “hidden Italy,” uncovering the small towns and villages that are located in the shadows of the big cities. If you have spent any time traveling, you have probably experienced what Sentieri Italiani refers to as “Cultural Confusion.” It could be that you lacked the basic survival language tools — how to say “I lost my tour group” or how to ask “where’s the bathroom or how much does it cost?” You may have paid what you thought was five dollars for a cantaloupe, when in fact, because of an exchange rate you didn’t quite understand, you actually paid twenty dollars — ouch! Sentieri Italiani eliminates this type of “cultural confusion” altogether. We not only organize tours, we also provide cultural training prior to our travels. Travel tour groups are kept small and intimate, with an average size of 20 to 25 people. As the groups are kept small, the tours can be customized to meet the interests of the individuals. 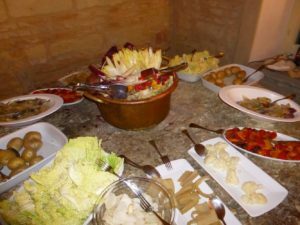 With a native guide at hand, individuals experience Italy like a “local” and not as a tourist. 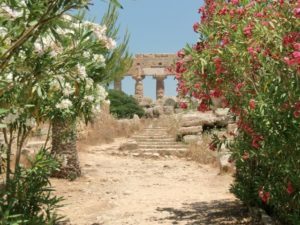 Sentieri not only gives you what larger travel companies offer, we also provide last-minute optional additions that are only possible with a native guide — such as convincing a Sicilian fisherman to take the tour group out on the Mediterranean. We offer all this, and at very reasonable costs. 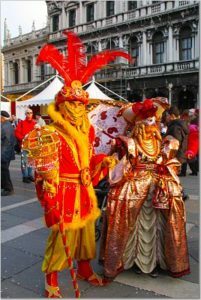 Experience Carnevale in Venice with us in 2019! Sentieri Italiani works with businesses or arranges business tours at home in Chicago and abroad in Italy. We can arrange a tour of Chicago for you and your associates or help you or your colleagues relocate to Italy. 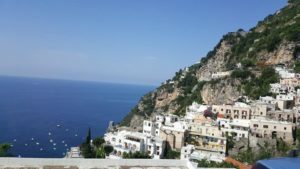 Whether you are continuing your linguistic studies or just starting out, you will greatly appreciate the benefit of studying Italian while in Italy. Our sister schools in Rome and Sorrento will provide you with skilled instruction in relaxed, enjoyable atmosphere to make your trip one of real value. For students and members of Sentieri Italiani, you will receive a discount on your Italiaidea classes! For more information contact info@sentieri.com. before your next trip to Italy. or submit our online form.